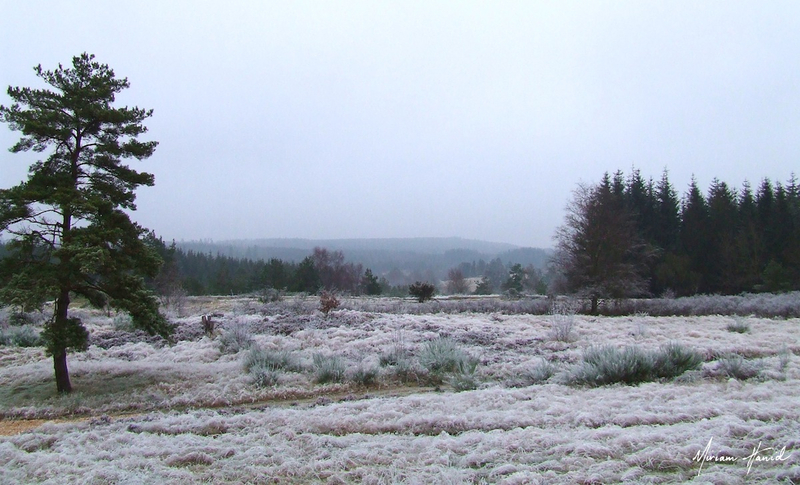 The view from Vrads Sande Meditation Centre over the nearby forests. 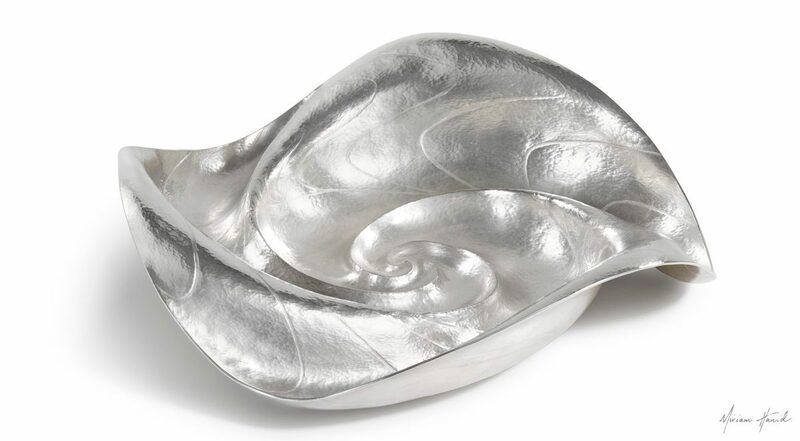 I feel certain that some of my greatest work in silver has been drawn from the deep insight and positive inspiration experienced in my daily meditation sessions. 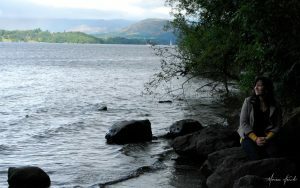 I have been practising Heartfulness Meditation for 11 years. This is a way of living and it has enriched my life in many ways. It is a simple practise, a meditation on the heart. It can include the use of `Transmission’, a unique feature of the method which helps one to deepen the experience of meditation, allowing a reconnection with a deeper part of oneself amidst the realities of a busy life. Meditation is such an important part of my creativity that I really can’t do without it now! Meditation Centre in Jutland and the air was frozen, with each molecule of moisture hanging in the air around me in a wispy, magical way. The white branches of trees in their winter resting state seemed to glisten and shine with the frost covering them. It was as though the freezing temperature unified everything including the air itself. 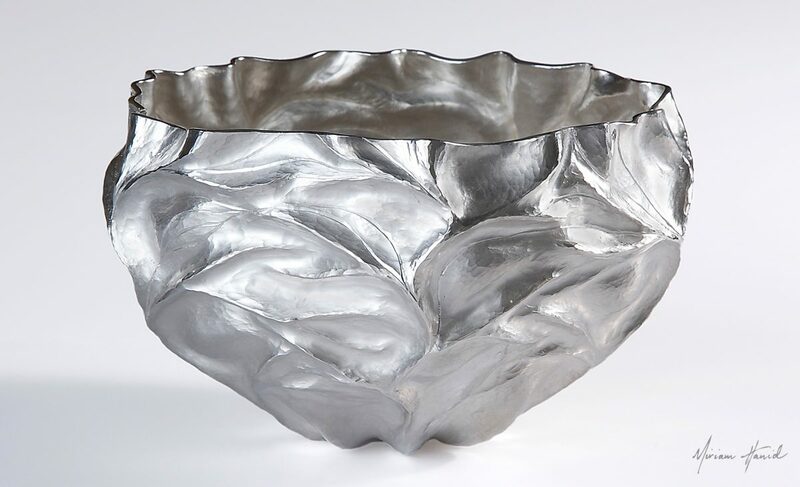 I didn’t make any drawings or photographs to create this vessel, but simply carried that magical feeling with me back to the UK where I set to work, using some fine silver – a fitting white, cool colour. 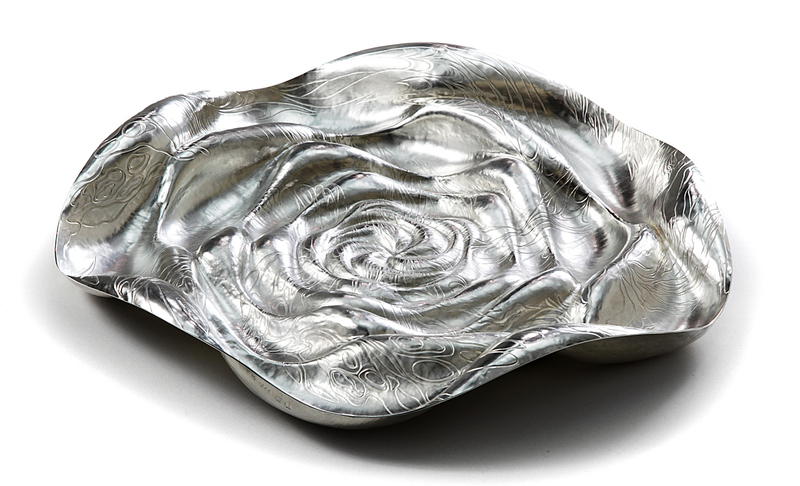 I exhibited this piece as part of the Contemporary British Silversmiths Show ‘Fit For Purpose’ in 2012, its proposed purpose being ‘to radiate and reflect the beauty of winter’. 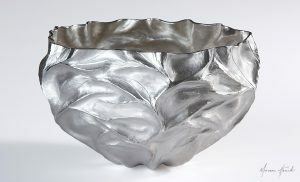 It was sold soon after the exhibition to a private client. 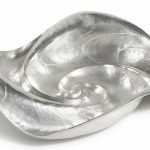 The Scintillated Vessel, as the piece was known, emerged straight out of a Heartfulness seminar facilitated by a deep sense of calm and relaxation and thanks to a different setting as well. I have however also created work in more mundane surroundings by tapping into a deeper inner environment. Through meditation one can learn to regulate the mind and over time thoughts gradually become easier to deal with, allowing one to empty one’s mind more easily, to transcend thoughts and to embrace other states of awareness. 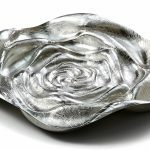 Pieces which were designed as a result of inner inspiration after particularly expansive meditations include the Whirlpool, Solaris and Alluvium Centrepieces. These pieces share a common theme. They seem to radiate energy from a central point, and it appears to spread beyond the edges. This is a recurring theme in my work and one which I always enjoy exploring. Fine Silver. Flat chased and formed on wood. 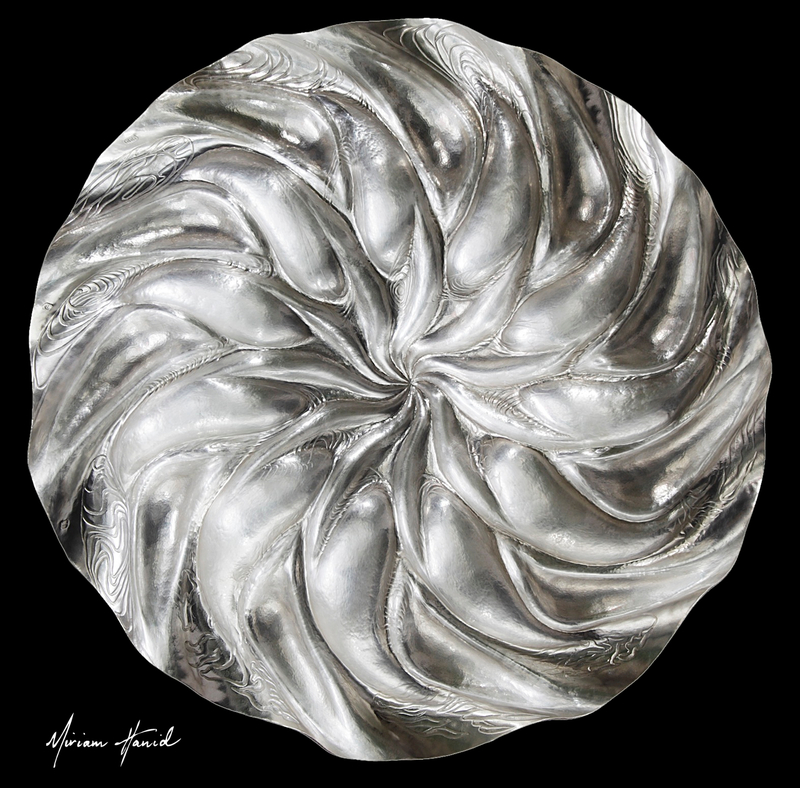 (40x40x8cm) Inspired by movement of ‘Alluvium’ from the latin ‘Alluvius, alluere’ – to wash against. Besides its impact on my creativity, I find that Heartfulness Meditation has helped me to connect with people I meet in the different facets of my work and life in a much more open way. This has resulted in fewer judgements and reactions, providing a more honest and humble connection with others. I now find I can appreciate the people I meet with a fresh outlook, which in turn opens up new possibilities for creativity. I feel that this is all thanks to my daily heart-centred meditation practise. An important improvement has also been stress reduction in relation to deadlines, events, public speaking and the nature of long term commissions. I have observed increased levels of efficiency and patience in myself when carrying out my work too. Although I do still have deadlines and more things to make and deal with than I have time to accommodate, I now prioritise a lot better and procrastinate less, which means that the actual silversmithing work I do is of a much higher standard than before. My daily meditation practise gives me a much deeper and lasting connection with the guidance from my heart and I feel more fulfilled in all aspects of my life. I feel honoured to have stumbled upon this path. 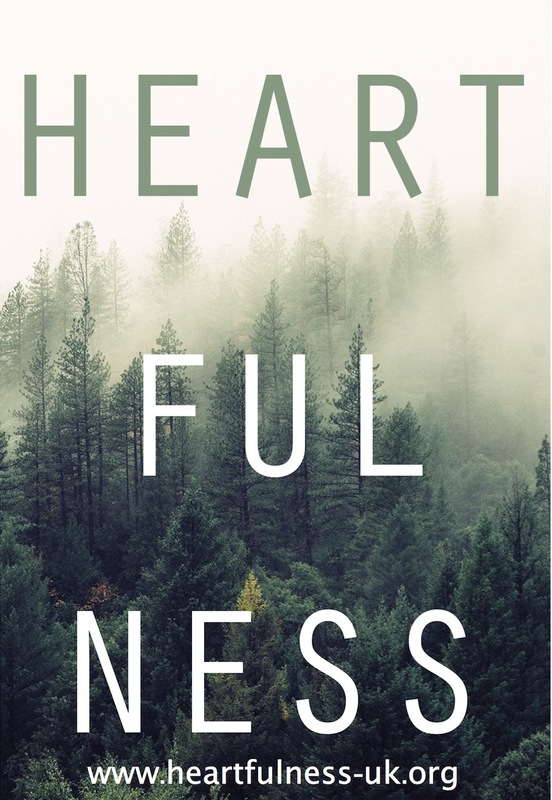 If you’re interested, I invite you to experience Heartfulness Meditation for yourself, so you can see if it helps and inspires you. You can try out a very simple relaxation session here. If you get on well with this and would like to go further, you can contact one of our trainers (and I happen to be one!) for an introductory session which consists of three meditation sittings. These can be done remotely or in person, and help you to get started on your own. There are three online masterclasses in which you can learn more about Heartfulness meditation and experience it with the help of our spiritual teacher, Daaji. You can receive more information and updates on this unique opportunity, which you can watch and participate in from the comfort of your own armchair! 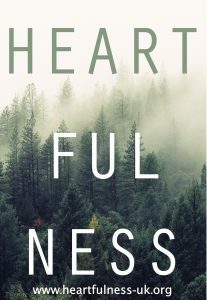 Click here to read an interview with me and my husband on Heartfulness, creativity, music and life.